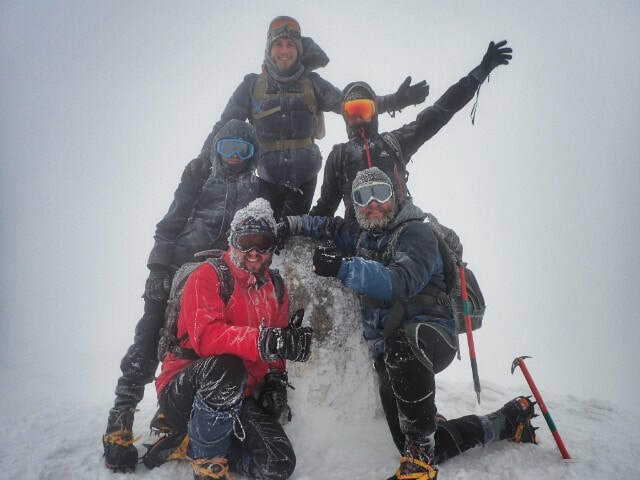 Climbing Ben Nevis in winter is a unique and memorable experience, and many hill walkers come to the area to take on the challenge. 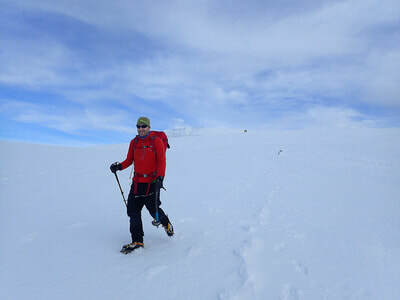 During our winter ascents we follow the Mountain Track from Glen Nevis and usually meet the snow line around half way up. More often than not it is from this point that crampons and an ice axe are required. 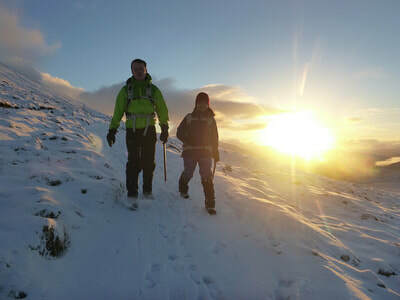 Navigation on Ben Nevis can be incredibly tricky in winter conditions so we strongly recommend that people with little winter experience go with a local and experienced guide. Not only will they help you to safely reach the summit, but you will also learn how to use your crampons and ice axe correctly, and pick up valuable knowledge on the winter environment. If you have never used winter equipment before your guide will teach you good techniques, or you may consider booking a Ben Nevis Weekend - one day of Winter Skills followed by an attempt on Ben Nevis. 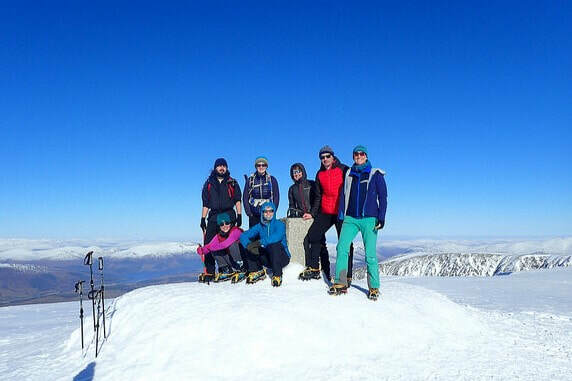 Ben Nevis Winter Ascents are available with a private guide on any day of the week ​so get in touch to check our availability and make a booking. Please Contact Us to check our availability or to get a quote for larger groups. The weather on Ben Nevis can change in a matter of minutes. Snow is likely and it can regularly feel as cold as -20 degrees Celsius on the summit. Make sure you are ready for your day by packing the items on the list below.